Crime, Justice and the Media examines and analyzes the relationship between the media and crime, criminals and the criminal justice system. It considers how crime and criminals have been portrayed by the media over time, applying different theoretical perspectives on the media to the way crime, criminals and justice is reported. It focuses on a number of specific areas of crime and criminal justice in terms of media representation - these areas include moral panics over specific crimes and criminals (including youth crime, cybercrime and paedophilia), the media portrayal of victims of crime and criminals and the way the media represent criminal justice agencies. 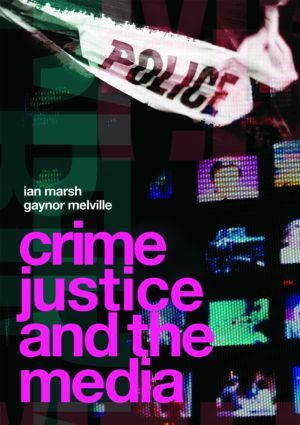 The book offers a clear, accessible and comprehensive analysis of theoretical thinking on the relationship between the media, crime and criminal justice and a detailed examination of how crime, criminals and others involved in the criminal justice process are portrayed by the media. A key strength of the book is its interactive approach - throughout the text students are encouraged to respond to the material presented and think for themselves.